Born in 1951, the Canadian actor Brent Carver has performed extensively on stage and on camera. He began studies at the University of British Columbia but left in 1972 to pursue a career in theater, performing in the Vancouver Arts Club’s production of Jacques Brel Is Alive and Well and Living in Paris. In 1976 he played Leo in the CBC television sitcom Leo and Me, which also starred a young Michael J. Fox in his first television show. Though taped in the mid-1970s, the program did not air till 1981. Other television work in the 1970s included Inside Canada (1973) and the TV movies One Night Stand (1978), for which he earned an Etrog Award, and Crossbar (1979), in which he starred with Kim Cattrall. 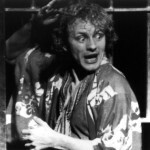 In 1979, Carver made his first appearance on a U.S. stage, playing Ariel to Anthony Hopkins’s Prospero in The Tempest at the Mark Taper Forum in Los Angles. Carver won his first Dora Award for his portrayal of Horst in Martin Sherman’s Bent (1981), a play about the Nazi persecution of homosexuals, at the Bathurst Street Theatre in Toronto. His stage work involved an extended association with Canada’s Stratford Shakespeare Festival in the 1980s, where he performed in many of the classic repertory pieces, including Hamlet (title role). In the 1980s he also appeared in a number of films, TV movies and dramatic productions, and television shows, including The Wars (1983), Cross Country (1983), Anne’s Story (1984), Love and Larceny (1985), The Pirates of Penzance (1985), All for One (1985), Much Ado About Nothing (1987), Spies, Lies & Naked Thighs (1988), The Twilight Zone (1989), War of the Worlds (1989), and Millennium (1989). For all his stage and screen work, Carver became an international star with his stellar performance as Molina – in Toronto, New York, and London – in Kander and Ebb’s musical The Kiss of the Spider Woman. In that role, Carver won the Tony Award® for Best Leading Actor in a Musical in 1993, as well as a New York Drama Desk Award, a Dora Award, and an Olivier Award nomination. 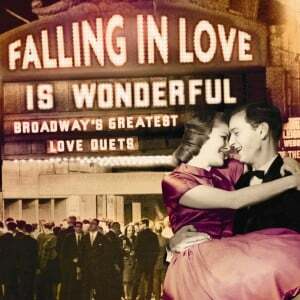 He can be heard on the original London cast recording. In 1996, at Toronto’s Royal Alexandra Theatre and Vancouver’s Ford Centre for the Performing Arts, Carver offered his own cabaret show, Brent Carver in Concert. 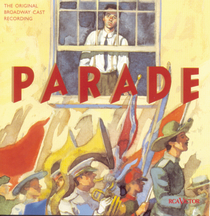 He returned to New York in 1998, playing Leo Frank in the original cast of Parade, a musical by Alfred Uhry and Jason Robert, at Lincoln Center. 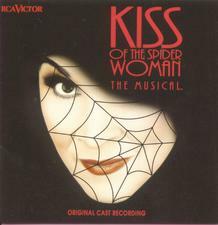 The musical won two Tony Awards® and several nominations, and Carver, who can be heard on the original Broadway cast recording, won the Drama Desk Award for Outstanding Actor in a Musical. Playing alongside Christopher Plummer as Lear, Carver portrayed Edgar in Shakespeare’s King Lear at Lincoln Center in 2004. His later film and television work include the roles of Leonardo da Vinci in Leonardo: A Dream of Flight (1998), Ichabod Crane in The Legend of Sleepy Hollow (1999), and Philip in Ararat (2002).